LAKE LIFE with INCOME! Stunning Waterfront Location, this upscale ground level condo CAN be accessed without stairs. Wide open water view is lovely year-round. 3 bdrm, 2 bath fully furnished and turnkey for use as Vacation Rental and yes, you can manage it yourself OR put it in the on-site program! Open living-dining-kitchen with granite countertops and handy pantry. Roomy master bath with jetted tub/walk in shower, walk-in closet. 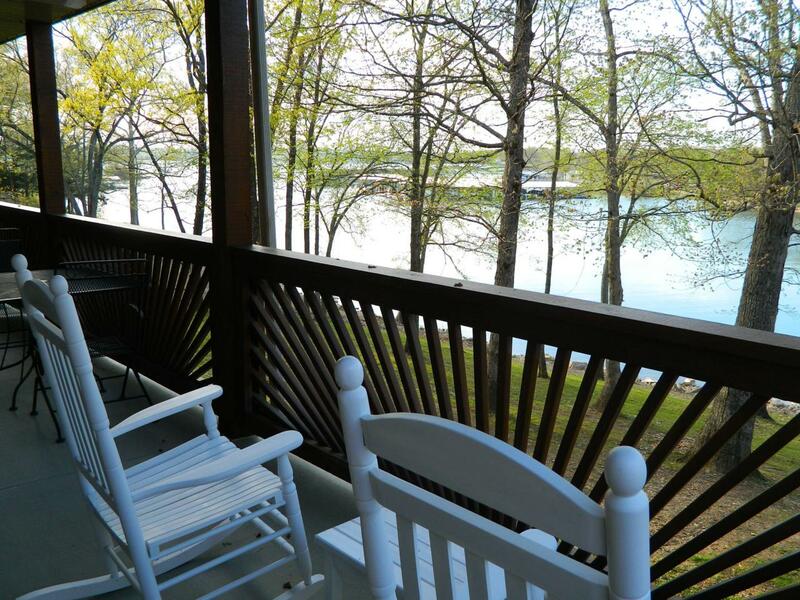 Fantastic setting features large shade trees and an easy walk to the water in large protected cove. 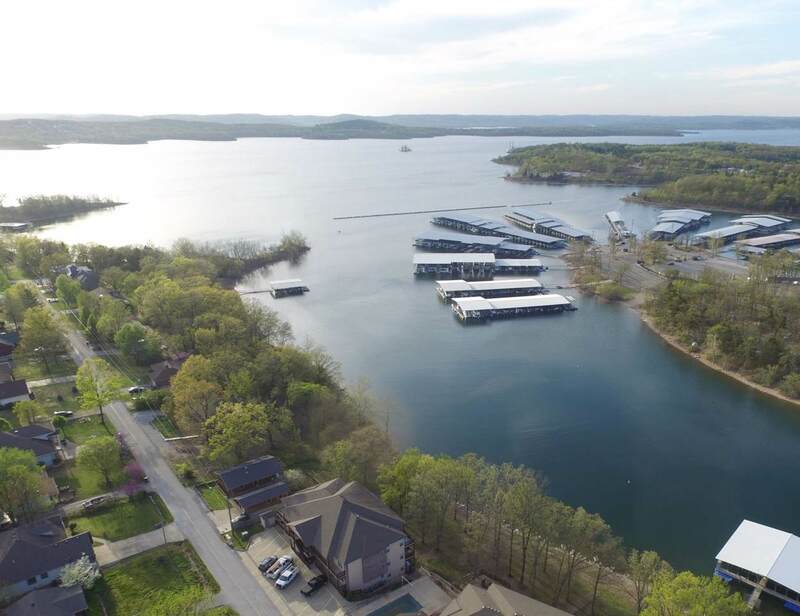 Nearby boat launch, easy drive to Branson for shopping, dining and entertainment! 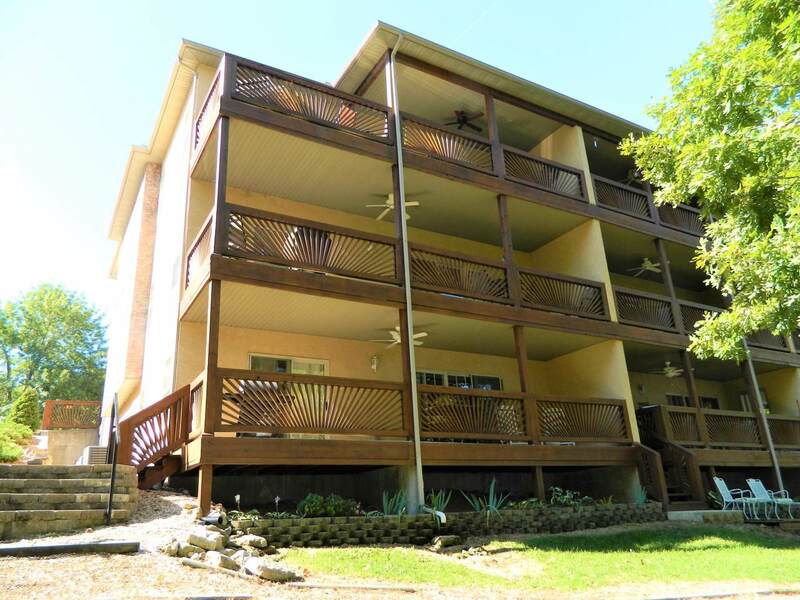 Dedicated parking spaces, easy drive to nearby marina for boat rentals, slips and much more! Association Info Coa Dues 225. Listing provided courtesy of Boeker Group Real Estate Llc. © 2019 Southern Missouri Regional MLS. All rights reserved.